Meet amazing timbalero Daniel Rodriguez, newest member of the GB family! 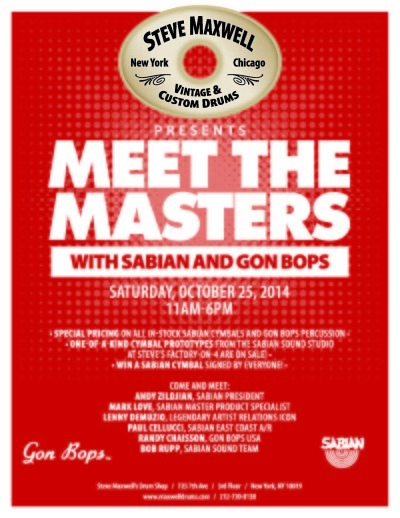 GON BOPS PART OF EXCITING TWO-DAY DRUM EVENT! A Two-Day Online Event For The Drum Community! On Tuesday 30 and Wednesday 31 July, MusicRadar, in association with Rhythm magazine, will launch Drum Expo 2013. A two-day online event unique to the music making industry, Drum Expo is the online destination for drummers this summer. The biggest drum brands will be out in force hosting ‘virtual booths’ that feature slick video demos, lush photography and descriptions of their latest gear. Rhythm will host their own booth alongside Liberty, Roland, Yamaha, Gon Bops, Sabian, Natal, Guru, Premier, Gretsch, Echo, Gibraltar and Dream Cymbals. And it’s not just gear that will be entertaining… The world’s brightest and most inspirational drummers will be dropping in throughout the Expo to discuss everything from showmanship to playing live to why baby wipes are just as essential to the touring drummer as sticks. Clem Burke (Blondie), Jimmy Degrasso (David Lee Roth, Alice Cooper), Taylor Hawkins (Foo Fighters), Dan Flint (You Me At Six), Jason Sutter (Slash, Marilyn Manson), Chad Smith (Red Hot Chili Peppers), Gavin Harrison (Porcupine Tree) and more will be taking part. 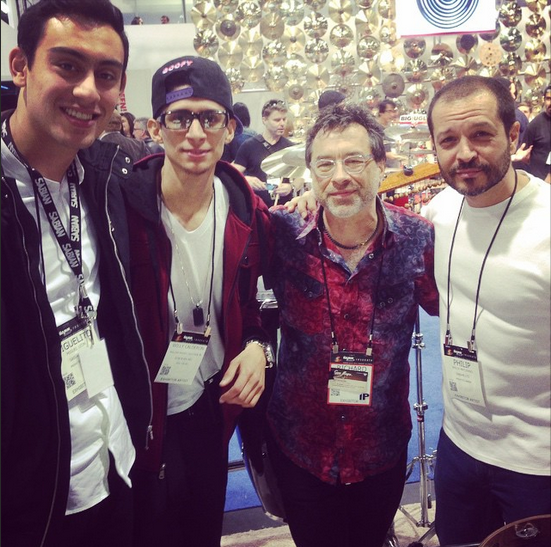 When it comes to tuition, Drum Expo 2013 has lots and it’s free! Highlights include Chad Smith teaching viewers their first ever drum beat, courtesy of US-based Drum Channel; Clem Burke explaining how to play Blondie’s most beloved beats; and Dan Flint from teen heartthrobs You Me At Six revealing his best drum workouts. GON BOPS ROCKS AT 2013 NAMM SHOW! 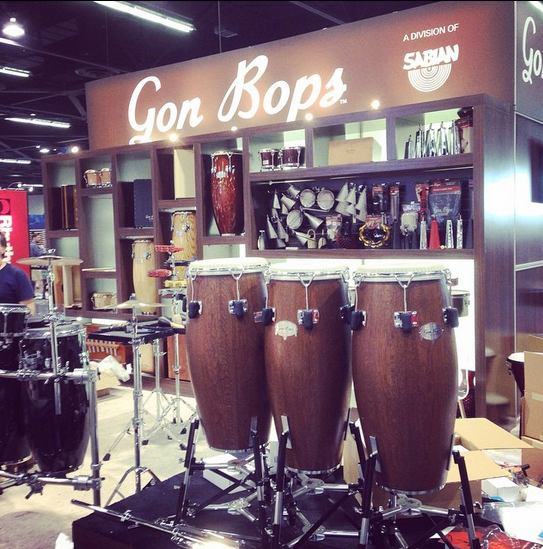 The 2013 NAMM show in Anaheim was a busy one for the Gon Bops team. In addition to non-stop meetings with Gon Bops dealer and distributor partners, the booth was buzzing with activity as artists Alex Acuna, Orestes Vilato, Walter Rodriguez, Miguelito Leon, Jaz Sawyer, Bernie Dressel, Blair Sinta and others put in regular appearances, often performing on the booth. Alex Acuna and the Unknowns also delivered a blistering performance at the annual SABIAN Live show on Friday night. 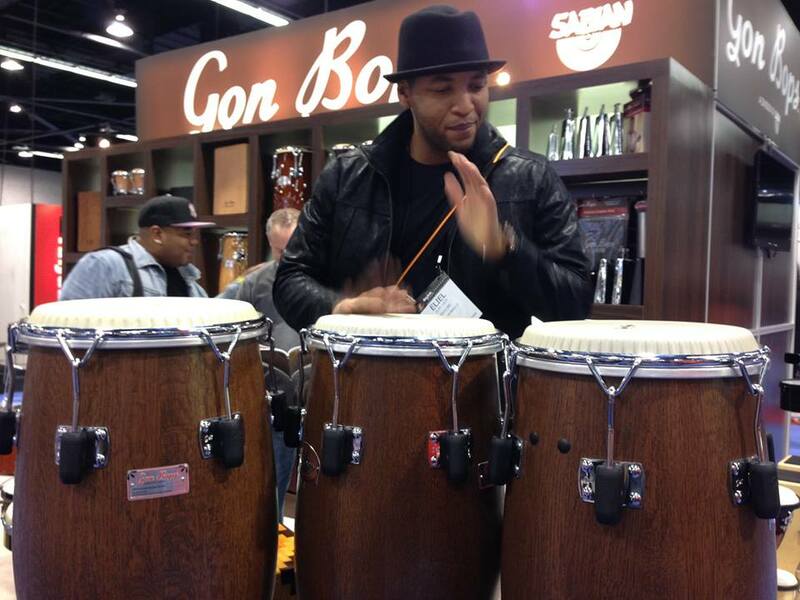 The brand new Gon Bops Orestes Vilato Signature Timbales were a hit on the booth with customers and artists alike. These new instruments feature a shallow 4″ pan design, aluminum construction and a lightweight stand. The cascara is warm — and loud. We are pleased to announce that legendary percussionist and drummer ALEX ACUNA will be performing with SABIAN Cymbals and GON BOPS Percussion at the Agora Stage on Saturday, April 13th from 4.00 to 4.30pm. Alex’s accomplishments and the impressive list of artists he has performed and recorded with are nothing short of breathtaking. U2, Paul McCartney, Joni Mitchell, Ella Fitzgerald, Whitney Houston, Sergio Mendes, Chick Corea, Carlos Santana, Herbie Hancock and Tito Puente are just a few names from a very long list that also includes Elvis Presley and Diana Ross. Alex is perhaps best known for his work with legendary jazz-fusion band Weather Report and played on the ground-breaking albums “Black Market” and “Heavy Weather”. Der Legendäre Percussionist und Schlagzeuger ALEX ACUNA führt in einer Soloperformance am Samstag, 13. April, von 16h — 16.30h. auf der Agora Stage SABIAN Becken und Gon Bops Percussion Instrumente vor. Die Liste von Künstlern mit denen ALEX ACUNA zusammengearbeitet hat macht Sprachlos. U2, Paul McCartney, Joni Mitchell, Ella Fitzgerald, Whitney Houston, Sergio Mendes, Chick Corea, Carlos Santana, Herbie Hancock and Tito Puente um nur einige zu nennen. Außerdem hat er mit Elvis Presley und Diana Ross gespielt. 1975 trat er der Legendären Jazz-Fusion Band „Weather Report“ bei und spielte auf den bekannten Alben: „Black Market“ und „Heavy Weather“. GON BOPS ENJOYS SUCCESSFUL 2012 PASIC SHOW! Although Tropical Storm Sandy created major havoc and devastated large portions of the East Coast of the US, most MI manufacturers were able to display and maintained a presence at PASIC, held in Austin, TX on November 1-3, 2012. While traffic was light, no doubt due to the cancellation of most flights out of the East Coast, attendees were very enthusiastic about the Gon Bops instruments on display on the booth. Apart from a full line of Peruvian Cajons, including the latest El Toro and Fiesta models, Gon Bops also displayed a wide selection of bells, hand percussion, congas and bongo drums. 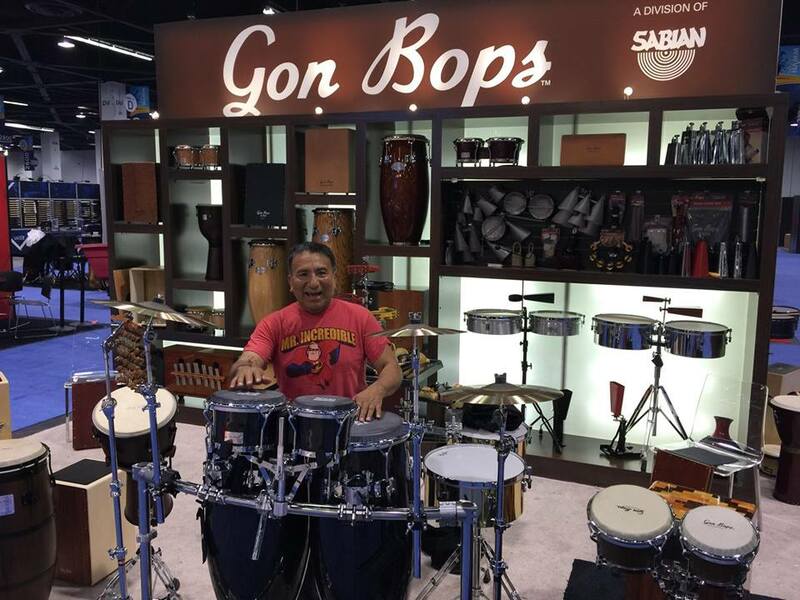 Connect with Gon Bops on Facebook (http://www.Facebook.com/GonBops) for live updates from PASIC, NAMM, MusikMesse and other shows throughout the year!